A leader of Pakistan Muslim League-Nawaz (PML-N) and the Opposition Leader in the Punjab Assembly Hamza Shehbaz Sharif got the green signal by the Lahore High Court (LHC) to travel abroad for 10 days. Lahore High Court (LHC) subsequently issued directives to the interior ministry to respond on the matter. Reportedly, Justice Farukh Irfan heard the petition filed by Hamza Shehbaz against placement of his name on the Federal Investigation Authority’s ‘blacklist’. The application further stated that the applicant came to know that his name was put on the blacklist when he was prevented from boarding a flight in November while he was being investigated by the anti-corruption watchdog over ‘possession of assets beyond known sources of income’ and the Ramzan Sugar Mills case. 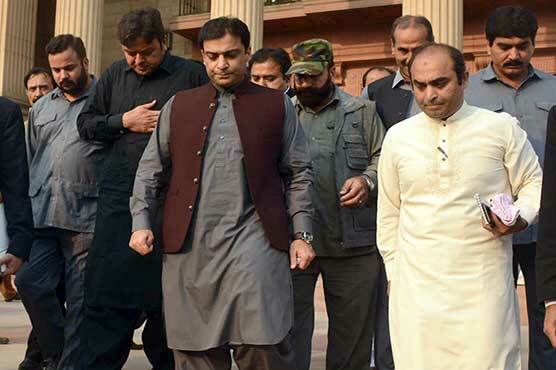 The application said that Hamza Shehbaz has been appearing in the investigation and coordinating with the National Accountability Bureau’s officials in the cases.